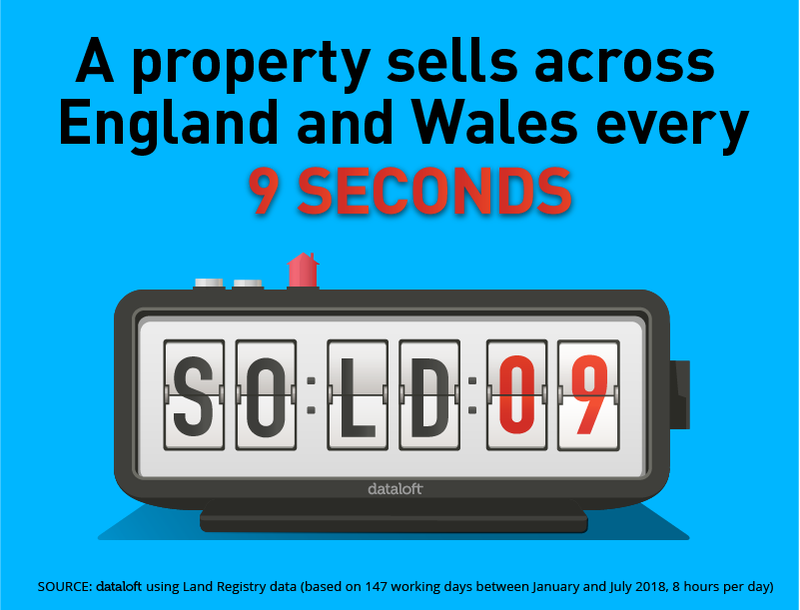 A property was sold somewhere across England and Wales every 9 seconds of working hours between January and July of this year. With 10 regions in the country, assuming an even distribution, this would equate to a property sale in every region within a minute and a half period. However with regional differences including the number of available properties and volume of housing stock, there are variations. In the North East where fewer properties are sold than in other, more densely populated regions, there was still a sale every 3 minutes.